Your Complete Postcard Printing Company. Partner with AlphaGraphics Today and Discover Professional-Quality Postcard Printing. 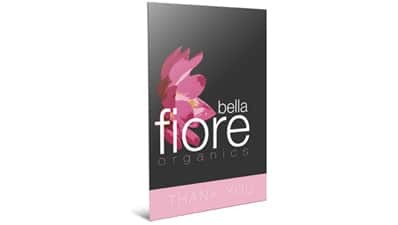 Our digital press and high-speed offset printing systems will reproduce your postcard photos, copy and illustrations exactly to your project’s specifications. Choose from high-quality black and white, photo-quality full-color or spot-color Pantone® printing. Complete Size and Paper Options. Our postcard solutions are great for sales promotions, announcements, invites and more. Choose from a wide range of standard or custom sizes and paper substrates. Ask an AlphaGraphics professional today about specialty finishing services such as custom die-cuts, folds or UV coating. Our high-quality full-service postcard printing services will meet or exceed your project objectives. Ask an AlphaGraphics professional today how our comprehensive design, marketing, printing, paper substrate selection, folding and finishing services can help ensure your postcard printing project gets results. Contact an AlphaGraphics Professional Today to Start Your Postcard Printing Project. AlphaGraphics offer complete direct mail services including list management and rental, data processing, printing and mailing. Ask an AlphaGraphics professional today how we can enhance your existing direct mail program or help create a new single piece or integrated direct mail marketing campaign. Ask an AlphaGraphics professional today, how a personalized print, email and web (PURL) campaign can help increase relevancy and response rates. All channels are driven from a single database and are a great way to connect and learn about your audience to further develop integrated marketing campaigns that get results. Get Started Today and Discover Complete Postcard Printing Solutions.